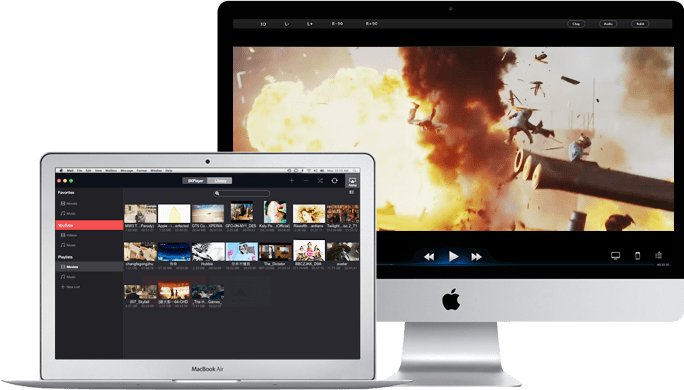 It can never be a no-brainer to handpick the reliable video player as a quick search for “media player” on Google reveals a plethora of options. Maybe the seamless video playback is enough to qualify a player as good. But single function can hardly get users attracted. One of the features that users often get asked is download online videos and this further reduces the number of players users can rely on. How about the amazing ability to handle contents across displays? I bet this will shrink that number to near zero. Yes, I mean near because here 5KPlayer embraces everything you can expect of a robust media player. Rather than jumping through hoops to look for the right player, as a triple threat, 5KPlayer will be a great fit. Play 4K, HD, 3D videos, DVD and radio with revolutionary design. It can really be disappointing to have your multimedia player fail to support certain formats. Worse still, it’s hard to take it lightly if another movie night is spoiled just because the long-waited movie cannot be open. This can never happen to 5KPlayer. Built-in 180+ video and 60+ audio formats, 5KPlayer can play AVI, MP4, WMV, FLV, MKV, MP3, AAC etc; HD 720P, 1080P and even 4K 5K Ultra videos; DVD, including those protected by region codes and copy protections; 3D videos and radio. People spend most of time watching video clips as a hobby, and video downloading is thus becoming famous in case no internet is available. To pick up a good online video downloader is however a little bit tricky. Some downloaders need your great patience for the seemingly still downloading process or block you from accessing certain sites. 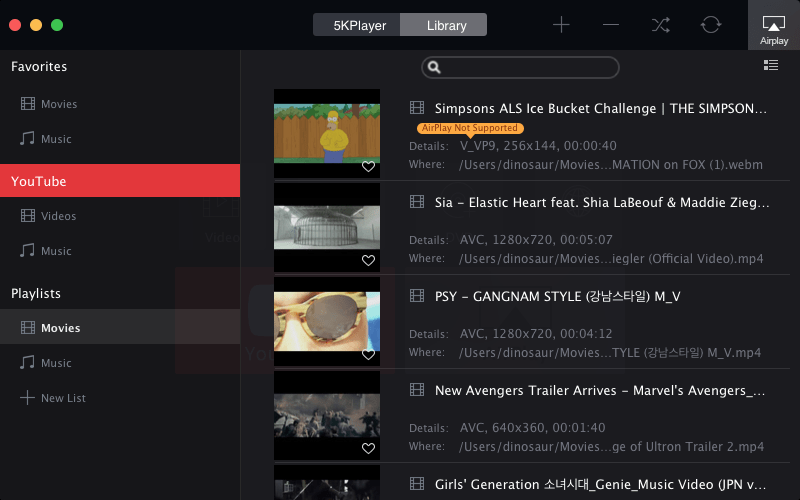 The arrival of 5KPlayer empowers users the ability to download videos and music from 300+ online video sites including YouTube, DailyMotion, Vimeo, Vevo and Facebook in high speed, totally for free! The AirPlay feature introduced by Apple is really convenient to enjoy video music on larger screen, nevertheless, Apple TV is the only device to receive media contents. This raises eyebrows as both Mac and PC are out of luck to carry AirPlay. Thankfully, the introduction of 5KPlayer fixes this problem. 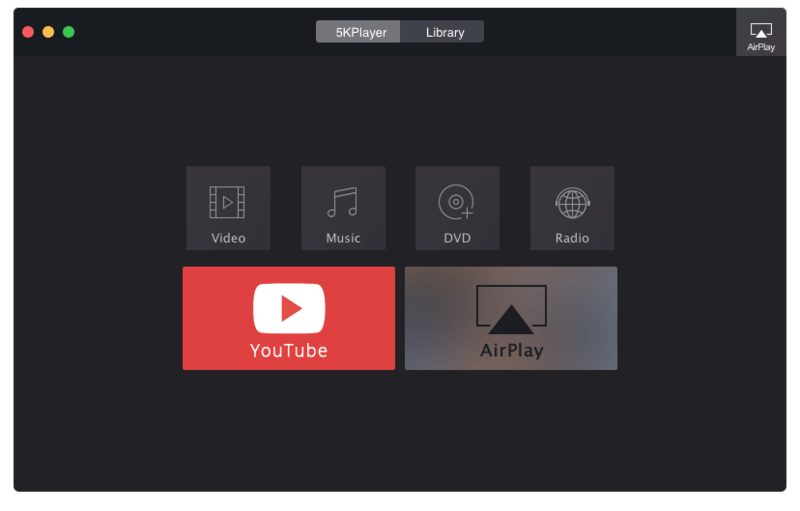 Integrating the capabilities of both AirPlay receiver and sender, with 5KPlayer, your computer can not only receive video music from iPhone iPad etc, but also stream films, videos, songs from Mac/PC to Apple TV. As a free media player, which combines the video player, online video downloader, AirPlay server into one, yes, 5KPlayer does more than you can imagine about a player. I have to say it’s a must-have for all you guys! If you guys want to download it for your use or give a try then please go through with this LINK and you guys can go through their website to read more and know more about the 5KPlayer.